This was a lot more difficult to photograph on my own than I thought it would be! 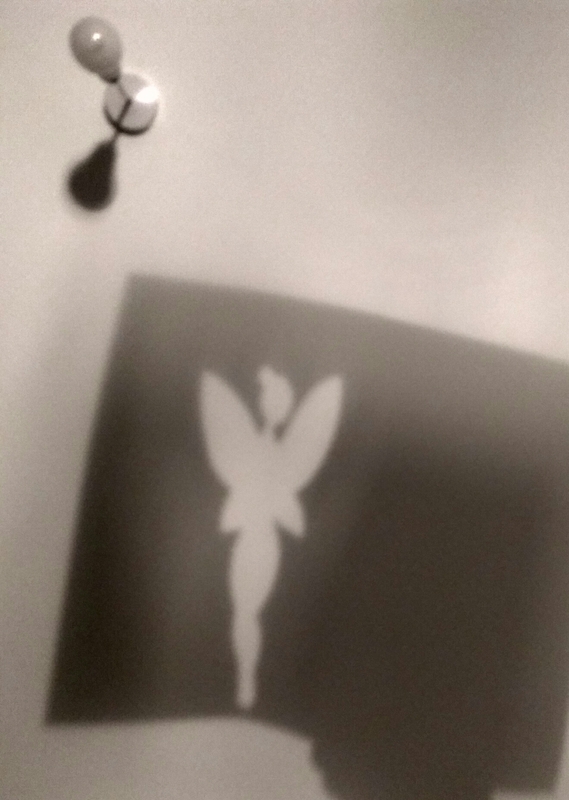 I drew the outline of a fairy on some paper, cut the silhouette out using my craft knife and then held the rest of the page above my bedside table lamp. I held the image over the lamp with one hand and took the photo using the other. Initially I had cropped the photo to just show the fairy, but I prefer the lightbulb in the background adding a bit of context.